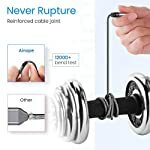 ✅[Reinforced Cable Joint]: With 12,000+ times bend test, the solid and durable double-braided armor nylon shield offer the cable longer service life and will never rupture . 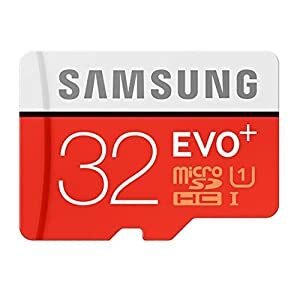 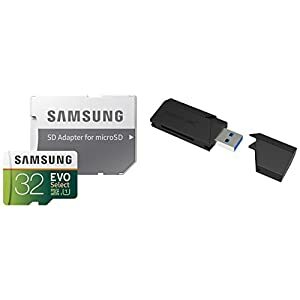 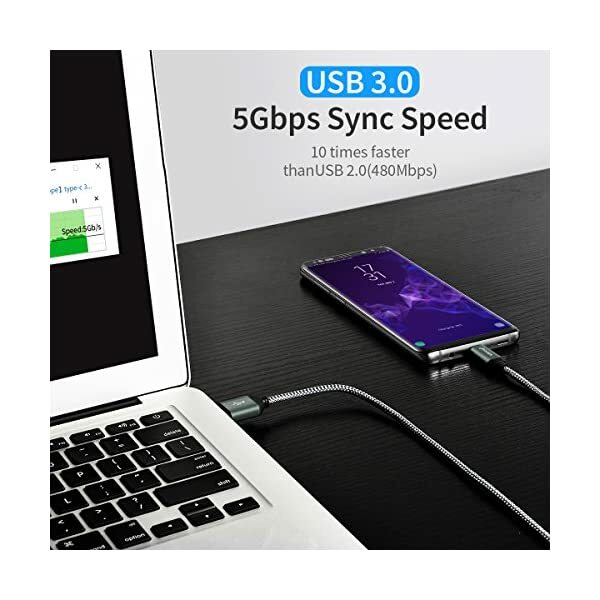 The reversible connector is designed to keep up with the latest trend of USB interface (Type-C) and offer friendly user experience. 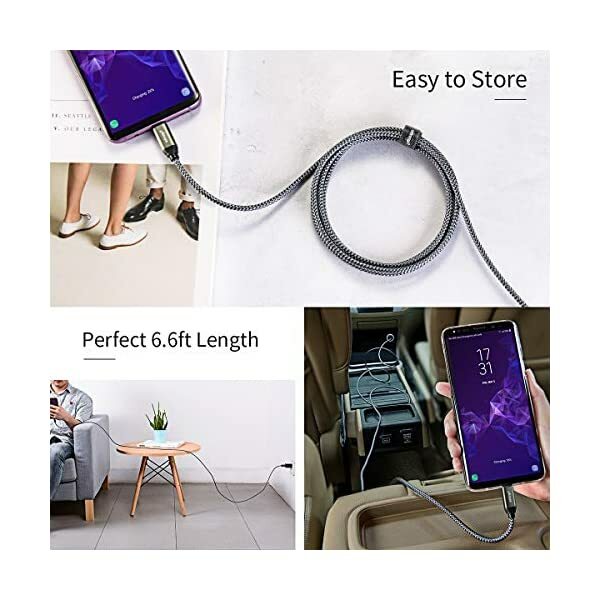 ✅[Superb Material]: Tinned copper wire features anti-oxidation and anti-rust, will keep long-lasting fast charging performance and even survive your pet’s chewing. 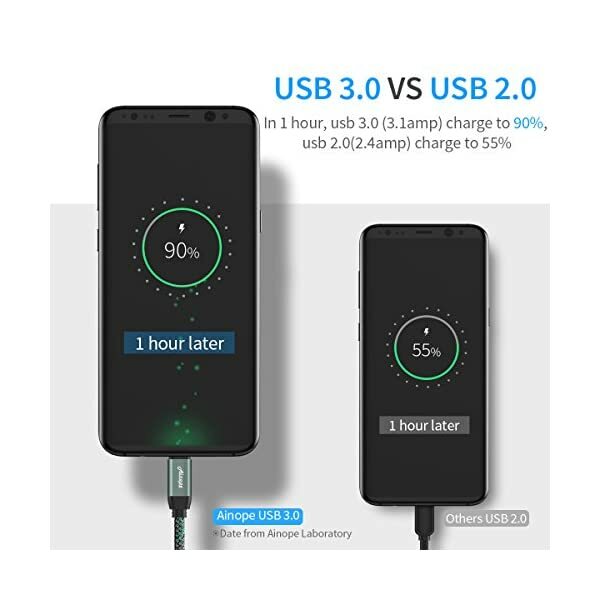 ✅[Prolong the Battery Life]: Standard 56KΩ pull-up resistor provides a safer charging current (Trickle Charge, Max 3.1A) when the USB cable is charging with a fast speed. 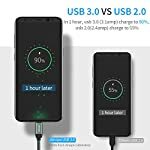 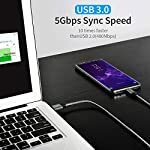 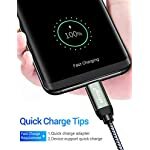 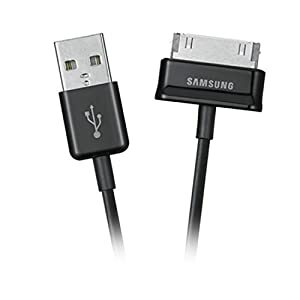 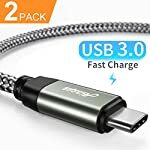 You can charge with this USB 3.0 cable for Samsung Galaxy S9 S8 Note 8, Google Pixel, LG V20 V30 G6 G5, Nintendo Switch, OnePlus 5 3T and other devices with type-c port. 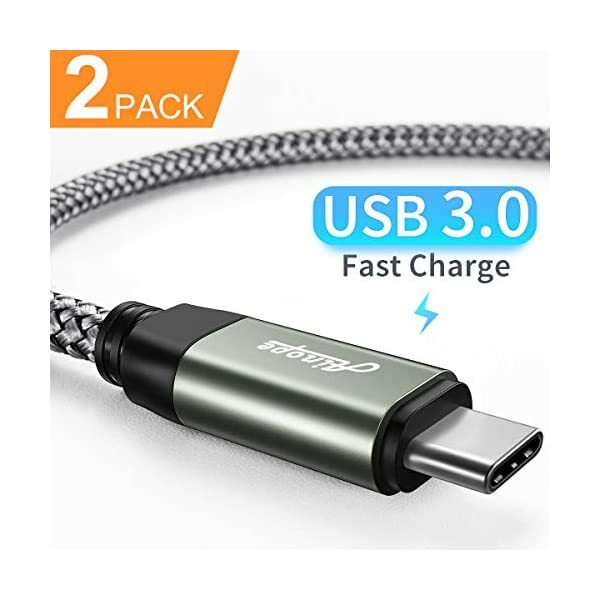 ✅[Perfect Fit Connector]: Upgraded 3D aluminum connector promises a stable connection even with a protective case and will not be overheating at high temperatures. 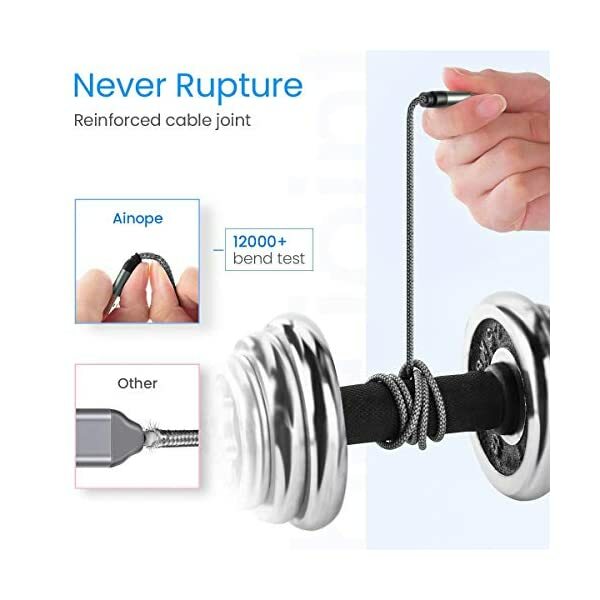 At Ainope, you will get 360 Days MONEY BACK Guarantee and LIFE TIME Customer Service. 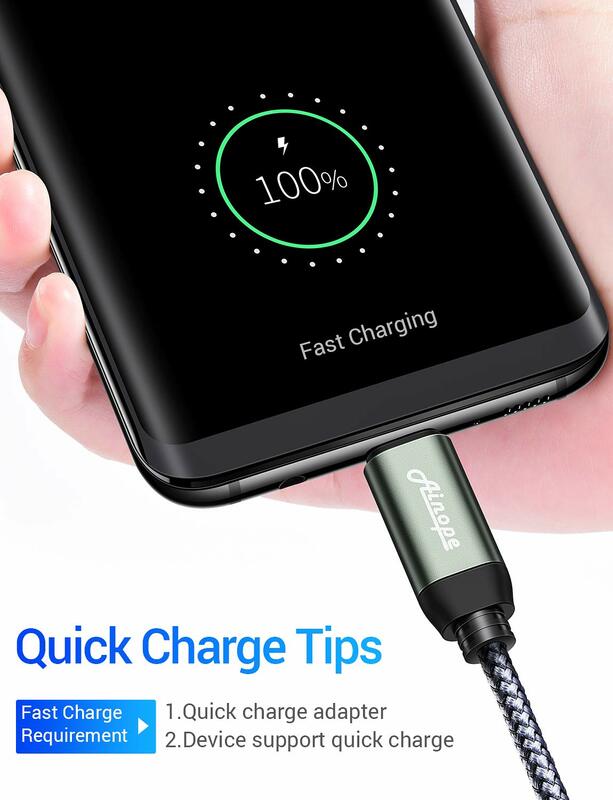 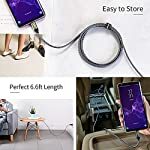 *Reminder* This cord alone WILL NOT provide you with fast charging alone, you will need a power block rated for fast charging and a phone capable of the same together.